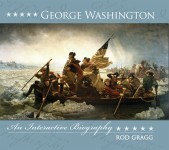 Richly depicted information about this great American hero will delight readers, from B for his birth in Boston in 1706 to Q for his wise quotes in Poor Richard’s Almanack. Franklin’s impact on our country—his influence on the Declaration of Independence and the United States Constitution, the printing of the Pennsylvania Gazette, his experiments with electricity, and his invention of bifocals—is still felt today. In addition to the traditional facts about Franklin, this book contains lesser-known details of his work as an inventor and statesman. Beautiful illustrations and a timeline of his life set the stage for the story of the visionary renaissance man. Laura Crawford, an elementary school teacher since 1992, earned her bachelor’s degree in elementary education and master’s degree in reading at Northern Illinois University. 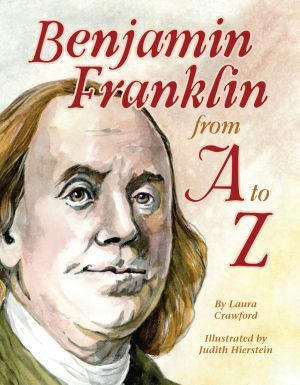 Inspired by her students’ fascination with United States history, Crawford is also the author of Pelican’s The American Revolution from A to Z and The Pilgrims’ Thanksgiving from A to Z. She resides in Geneva, Illinois, where she is a network representative for the Society of Children’s Book Writers and Illustrators and a member of the Illinois Reading Council. Judith Hierstein is a retired high school graphic and media arts teacher who believes that pictures should begin where the written word ends. She holds a bachelor’s degree in art from the University of Iowa and has illustrated several children’s books, including Pelican’s Toby Belfer Series, The American Revolution from A to Z, Jim Limber Davis: A Black Orphan in the Confederate White House, Nathan’s Hanukkah Bargain, The Pilgrims’ Thanksgiving from A to Z, Voices of the Dust Bowl, and Voices of Gettysburg. Hierstein lives in Tucson, Arizona.